Episode 32: Featured Guest - Downen Creative Studios - We welcome Beverly from Downen Creative Studios! Beverly is an amazingly skilled cosplayer, maker and community advocate! Be sure to subscribe through your favorite service! Future episodes will include more about Cosplay, Making, Props, Cons as well as featured guests from the cosplay and maker community. 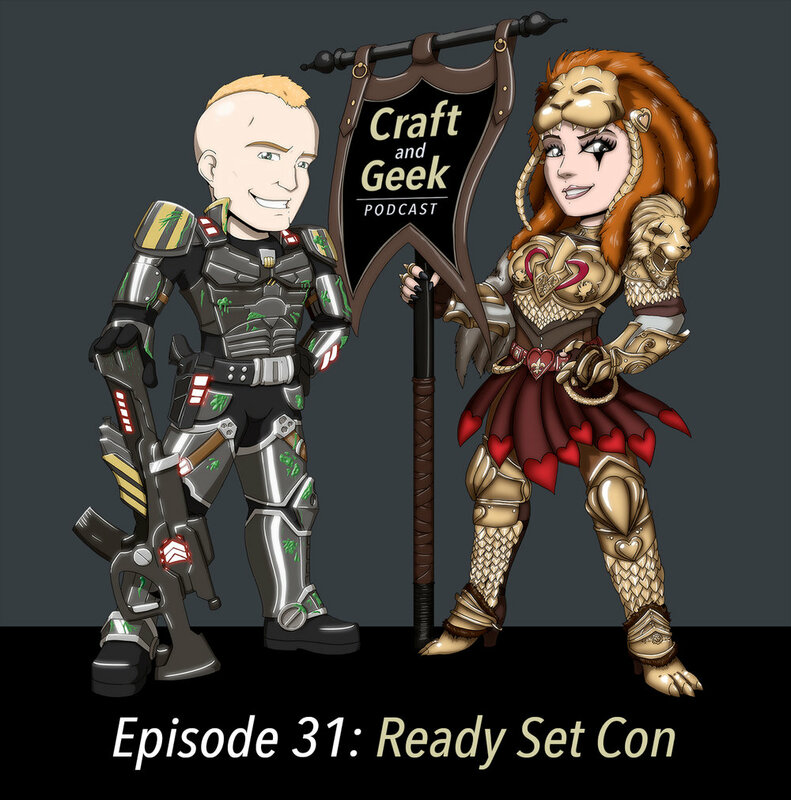 Episode 31: Ready Set Con - Eric and Jackie discuss going to their first cons of 2018 and costume making. 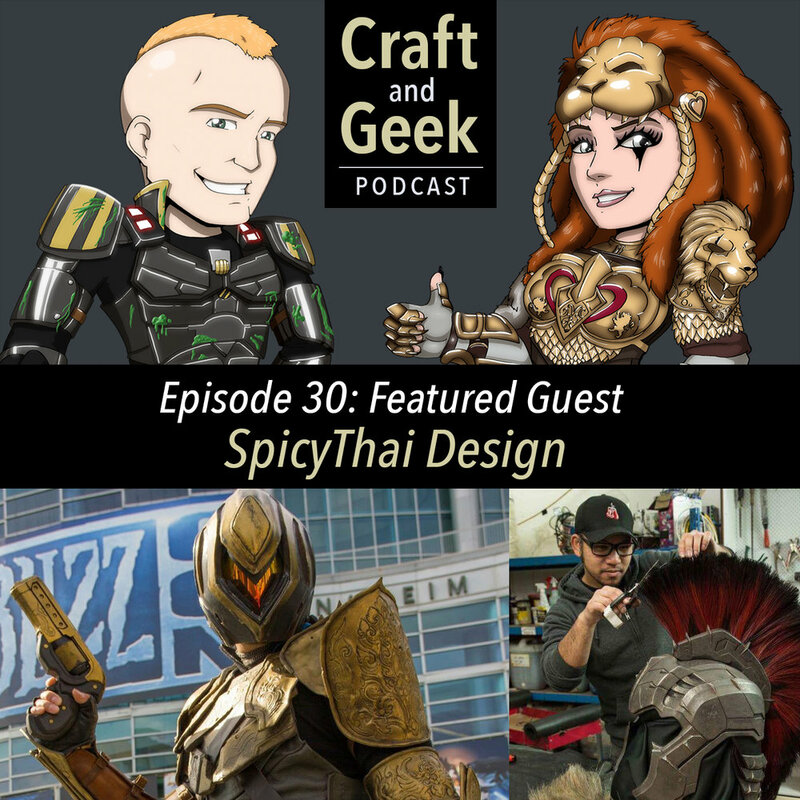 Episode 30: Featured Guest - SpicyThaiDesign - Eric and Jackie welcome the multi-skilled maker and artist Sanit Kamchanuan to the show. Sanit is a cosplayer who also happens to work for WETA Workshop in New Zealand. Be sure to subscribe through your favorite service! Future episodes will include more about Cosplay, Making, Cosplay Melee as well as featured guests from the cosplay and maker community. Episode 29: Be Kind... Rewind - Eric and Jackie discuss the ups and downs of social media. Hosted by Jackie from Jackie Craft Cosplay (and the SyFy TV show Cosplay Melee) and Eric from Coregeek Creations, two makers with love for all things creative, cosplay and geek life. 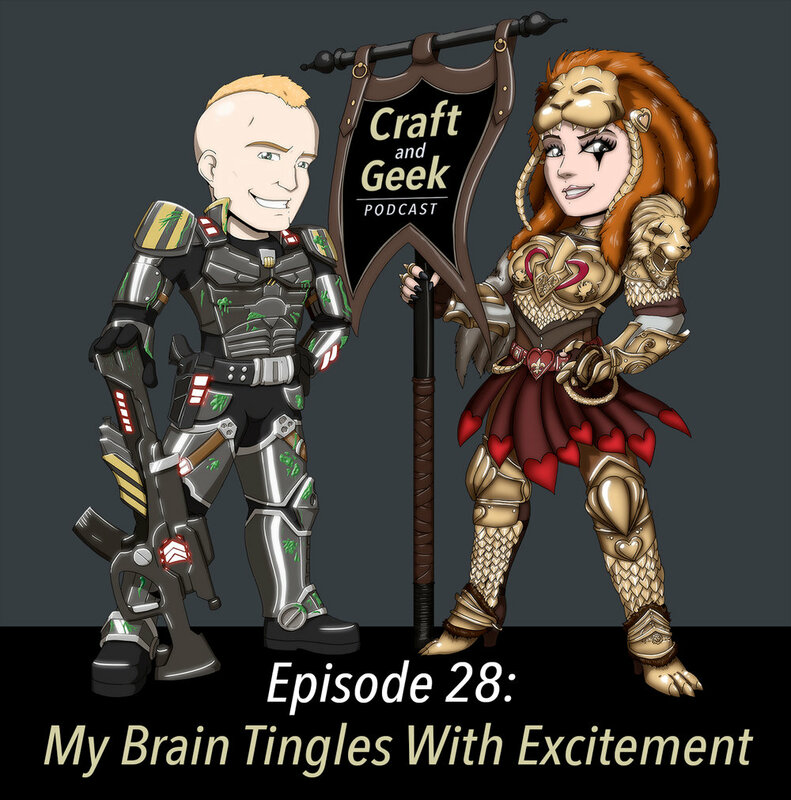 Episode 28: My Brain Tingles With Excitement - Eric and Jackie discuss black history month, guesting at cons, Amazon as a supplier and so much more. Episode 27: Put a Stick In It - Eric and Jackie discuss various making topics. 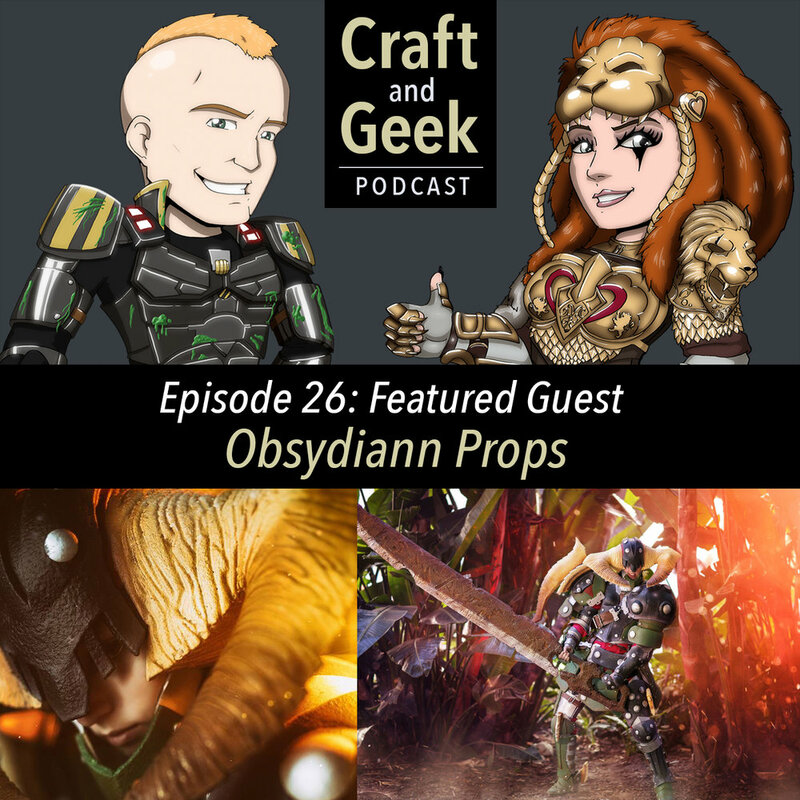 Episode 26: Obsydiann Props - Eric and Jackie welcome Jill from Obsydiann Props to talk about her work as a 3D Modeler and Cosplayer. Episode 25: Projects and Such - Eric and Jackie discuss their current projects, 3D printing, pattern making, chrome finishes and more. Episode 24: Grab Bag - Merry Christmas!!! Here's a bonus episode in case you need something to listen to over the holiday weekend. Eric and Jackie hang out and talk. Food was definitely on their minds. 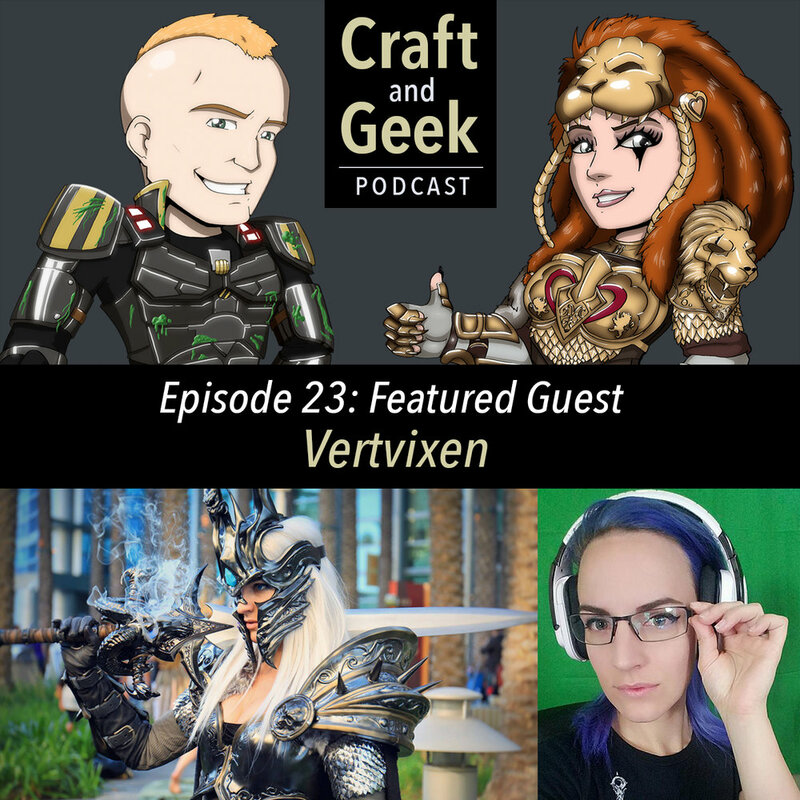 Episode 23: Featured Guest Vertvixen - Eric and Jackie welcome Alicia Bellamy aka Vertvixen to the show. Alicia is a multi-talented creator, 3D artist and costumer. Episode 22: Blizzcon 2017 - Eric and Jackie discuss all things Blizzcon! Episode 21: Blizzcon Prep and Rose City Wrap Up - Eric and Jackie discuss Jackie's prep and official video series for Blizzard/Blizzcon. Eric talks about his time at Rose City Comic Con. Episode 20: Dragon Con 2017 - Eric and Jackie discuss Jackie's time at Dragon Con. Disclaimer: We're aware of the audio issues with this episode. Please know this is not how the podcast normally sounds. Ultimately it was decided a flawed episode was better than no episode. Episode 19: Hey Kool-Aid - Part 2 of 2 - Eric and Jackie talk about project set backs, Dragon Con, weight loss, Game of Thrones and more! Episode 18: Hey Kool-Aid - Part 1 of 2 - Eric and Jackie talk about project set backs, Dragon Con, weight loss, Game of Thrones and more! Episode 17: Lots O Geeky Stuff - Part 2 of 2 - Eric and Jackie talk about fandoms, movies, TV shows, video games, cons, costuming, turtles and even a little bit of gardening. Episode 16: Lots O Geeky Stuff - Part 1 of 2 - Eric and Jackie talk about fandoms, movies, TV shows, video games, cons, costuming, turtles and even a little bit of gardening. Episode 15: Nintendo For Days - Eric and Jackie discuss Jackie's recent project with Nintendo. Episode 14: Wonder Woman - Eric discusses all things Wonder Woman with two amazing friends, Beverly from Downen Creative Studios and Heather aka Harbeastie. Beverly and Heather are also the creative forces behind Epoc Echo Cosworx. Jackie will return soon! Episode 13: Featured Guest Lyz Brickley - Eric and Jackie welcome the multi-talented Lyz Brickley to the podcast. Lyz is a cosplayer, brand model, builder, YouTuber, independent artist and world class noodle dancer.